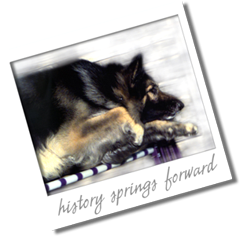 download "An Advocates Guide to Stopping Puppy Mills"
download "A Guide to Using Local Ordinances to Combat Puppy Mills"
There are numerous ethical Shiloh Shepherd breeders available to choose from. These breeders are involved in health testing & acquiring evidence of qualifications as well as status for their breeding programs which are nationally recognized as authentic credentials. These breeders will have such documents regarding health results, temperament tests, working and conformation titles readily available for a prospective puppy buyer to examine. But, it can still be difficult to differentiate between the responsible breeder and the deceptive "super sales pitch" simply by reviewing information found on the internet. The following details are being provided to help you distinguish between the two, in effort to protect you from falling prey to an unscrupulous person whose only desire is to take your money. "Puppy mill" is a term used to describe a commercial breeding facility that produces purebred puppies in large numbers. These puppies are often sold without the buyer actually visiting the breeder...you might find an extensive website with photos of green hills overlooking a pretty pond and beautiful puppies...Beware! A cruel, mass dog breeding factory could hide behind this scenario! Unlike in the AKC world where locating a puppy is as easy as picking up the local classified ads, in the Rare Breed world - litters are fewer and sometimes far between. A conscientious breeder devotes countless hours into nurturing her puppies and rarely produces more than 2 or 3 litters in a year's time. It is not uncommon for a Shiloh puppy buyer to wait several months for a potential litter. Take your time and do your research, be sure to purchase a puppy that is home raised with love and lots of quality attention. Impatient buyers may become vulnerable to the "super-sales" ploy presented by the puppy mill breeder. Avoid the commercial kennel facility, these poor dogs are being used soley as breeding machines - the "convenience store" of Shiloh puppies, they mass produce several litters every year. You might compare the Shiloh from the puppy mill to the "Hot Dog" that can be purchased at an ordinary chain store - its overpriced for what you get, but it looked appealing and was widely advertised as being produced by the actual "Creator" of the "Original Hot Dog TM". There was a line of people anxious to purchase one so you assumed the "Original Hot Dog TM" had to be the best. But now that you've bought it you realize it doesn't really taste that good. Afterwards, it actually made you sick to your stomach and you regretted that you didn't take the time to get something decent to eat! And to further your anxiety, you are really worried about the ingredients and the preparation of that "Original Hot Dog TM"! Hmmm...perhaps a wiser choice might have been something that didn't come off an assembly line! The documented problems of puppy mills include over-breeding, in-breeding, minimal veterinary care, poor nutrition, lack of socialization, housing in kennels and/or cages with limited space. Puppy mills frequently keep dogs in shockingly poor conditions, particularly for the "breeding stock" dogs which are bred continually for years with little or no human companionship. To the unwitting consumer, this situation frequently means dealing with a puppy facing an array of immediate veterinary problems, or harbouring genetically inherited diseases that will not appear until the dog reaches maturity. A "USDA-inspected" breeder does not mean a "good" breeder. Be wary of those who boast that they are "USDA Licensed". The USDA establishes only minimum care standards at best. Such kennels are only required to provide a minimum amount of food, water and shelter in order for survival - but not love, socialization necessary for healthy mental development, or freedom from confining cages. Many USDA licensed and inspected puppy mills operate under squalid conditions with known violations of the Animal Welfare Act. A Purebred "registration paper" does not guarantee the quality of the breeder or the dog. It is merely a birth certificate at best. The puppy mill counts on the bond between families and their new puppy being so strong that the puppy won't be returned. And guarantees are often so difficult to comply with that they are virtually worthless to the consumer. Sadly, some dogs are forced to live in puppy mills for years. They are kept there only for one reason: to produce more puppies - they are nothing more than prisoners for profit! A puppy mill continues to operate, and these magnificent Shilohs will continue to suffer until people STOP buying those dogs!